Tomhegan is a unique destination venue offering a captivating location for your wedding celebration. We offer the flexibility to choose vendors, have rooms and cabins for your guests and a weekend to remember. Tomhegan is a majestic, one of a kind location, perfect for your special day! With room to sleep up to 86 people and lots of options for your ceremony and reception, let Tomhegan set the stage for a memorable wedding weekend. 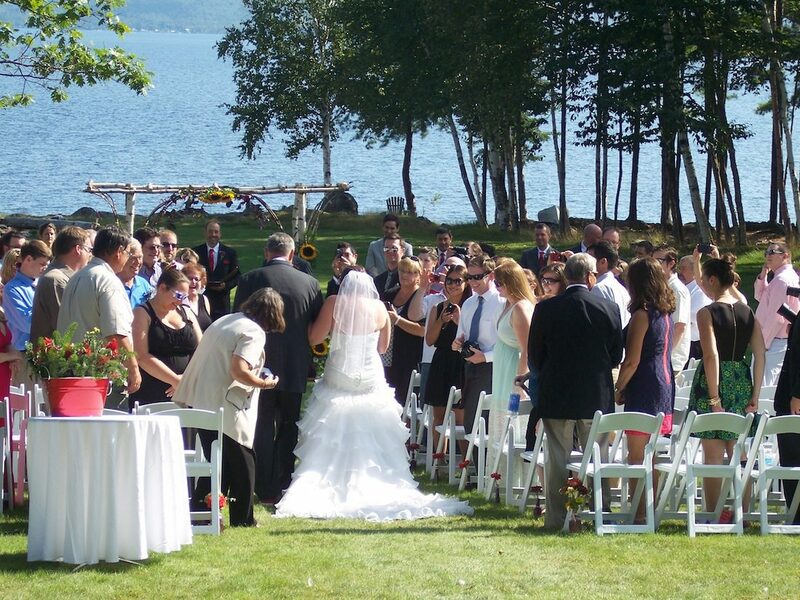 Exchange your vows on the shores of picturesque Moosehead Lake in early fall or in front of the fireplace in the lodge if you prefer an intimate and festive winter wedding. We offer three different wedding packages and the ability to personalize them. We will happily work with you, connect you to local professionals, and help to coordinate every detail of your dream day. The wedding package includes the rental of the Lodge, our largest rentable unit, sleeping 26 with five bedrooms, five bathrooms, an industrial size kitchen and a large living/dining space, perfect for hosting your rehearsal dinner and/or reception depending on the number of guests. 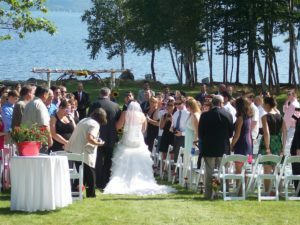 There is a private waterfront area, ideal for a ceremony, where you will be surrounded by the natural beauty and the breathtaking backdrop of Mt. Kineo and Moosehead Lake. 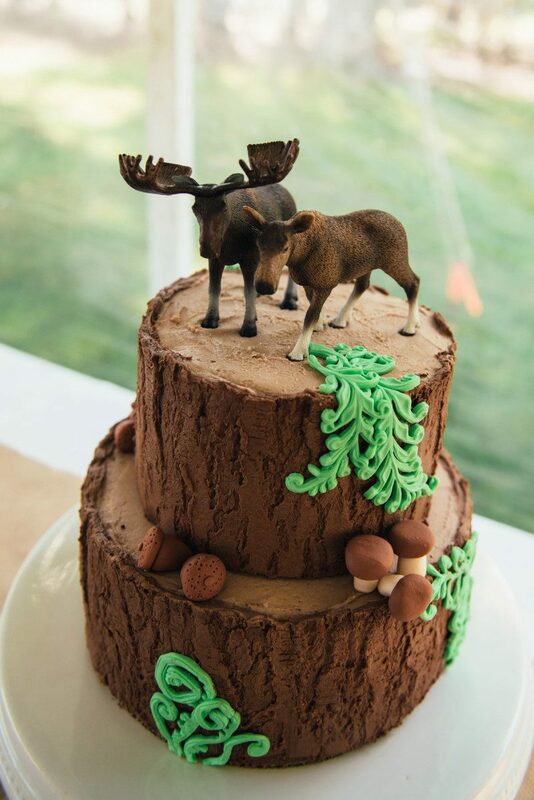 And don’t be surprised if some of the local wildlife attend your wedding, too! We encourage wedding parties to invite their guests to reserve any of our nine historic cabins. Please visit the Special Occasions page on our website for more information! Contact us at info@tomhegan.com for more information. Cozy Cabin Vacations with Kids!